I am currently on holiday, travelling around New Zealand for a month, but I didn't want to miss this exciting event. 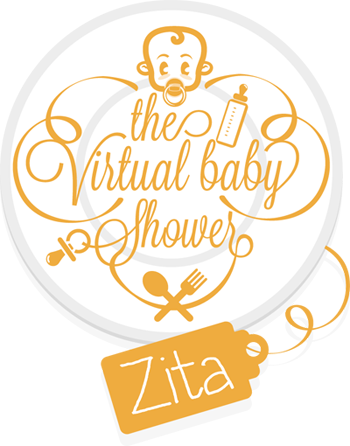 A group of blogger friends from all around the world are throwing yet another virtual baby shower. This time the mummy-to-be happy mum is lovely Zita from Zizi's Adventure. She's expecting a baby boy very soon. I've just received news that the baby was born a few hours ago! So huge congratulations to Zita and little Adam! I'm sure she and her boyfriend Ivan, will be fabulous parents. I wish both parents and Adam all the best. I've known Zita for a few years. We had been following each other's blogs and twitter for quite some time before we finally met in person. I invited Zita and Giulia and to stay with us during Food Blogger Connect 2011 in London. Just a few months later P. and I visited Zita in Hungary. She was a fantastic host, cooking delicious vegetarian food and showing us the best ice cream and little cafes in Budapest. I wrote a blog post about this trip to remember and share all the lovely places we visited and food we ate. She knows her city really well and is an expert on local produce and artisans. If you plan to visit Budapest you should definitely check out her blog or get in touch for great tips. I wasn't sure until the very last minute if I would be able to participate in this great event since there were a few obstacles making blogging difficult. First and the most tricky one was almost complete absence of mobile signal and internet connection during most parts of our trip. On the other hand, that makes New Zealand a perfect holiday destination. Another issue was a kitchen and props. Travelling with just a suitcase and my camera meant I was hoping to find good accommodation with a decent kitchen and props. Finally, I succeeded in Coromandel where we found a great backpacker place called Lion's Den run by Abby and her son, a professional chef, Sy. What a coincident! Sy who's been a chef for years working in UK, Germany and New Zealand, was so kind to share his knowledge about traditional New Zealand ingredients. He even made a small tasting dinner for us featuring some of them. New Zealand cuisine is very hard to define. More than traditional dishes, you would find traditional/local ingredients which many of them Maori brought with them when they first arrived in New Zealand. Kumara is probably one of the most typical and known one. It's kind of sweet potato but it's very different from European sweet potatoes as we know them. Their texture is creamier and taste is completely different. There's obviously quite a strong British influence so fish & chips, pies and roasts are very common here. The only dish I don't probably have to mention is Pavlova. Although there are still different opinions on the real origin of the recipe, it has apparently been proven that Pavlova was first invented in New Zealand. However, to keep things easy, I decided to make something very simple, using another local and seasonal ingredients. 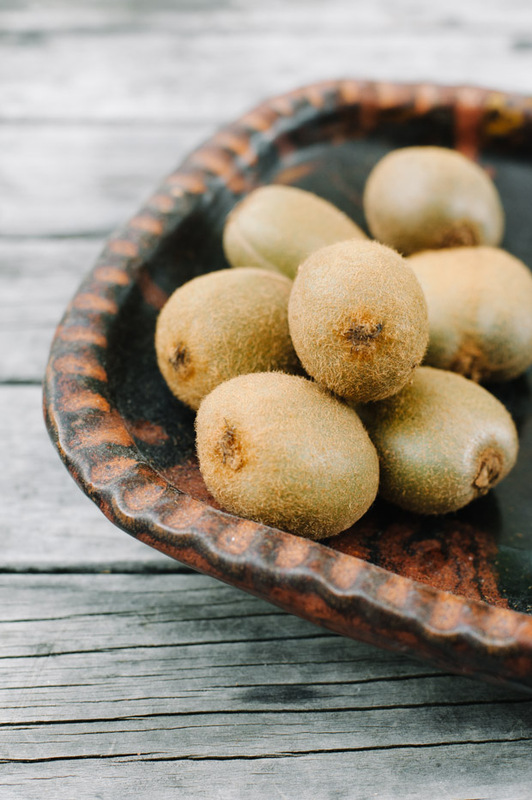 Kiwi fruit is currently in season here and you can buy a big bag of kiwis from a road-side stalls for almost nothing. Travelling in a Kiwi country also made my choice of the main ingredients quite appropriate. 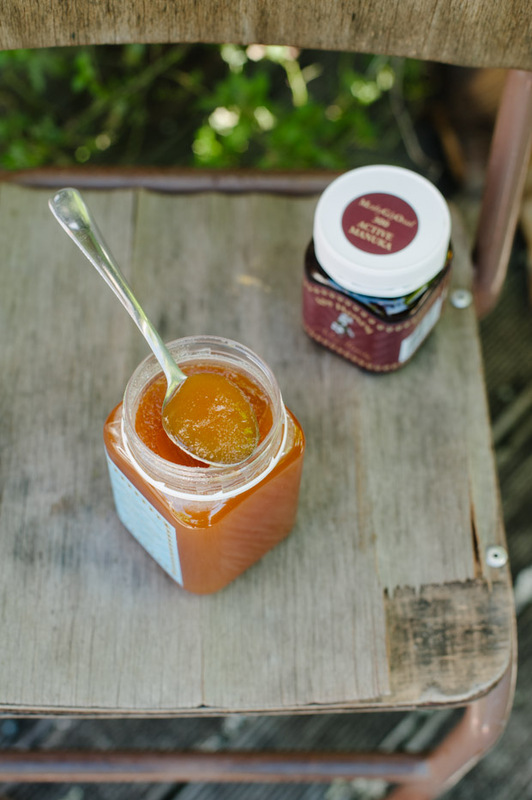 Another New Zealand product which I really like is local Manuka honey. Manuka honey is well known for its powerful antiseptic and antibiotics qualities and many other benefits for overall health and wellness. This carpaccio takes literally 5 minutes to throw together and is perfect for a summer picnic, garden party or a simple healthy snack. It's for you Zizi! 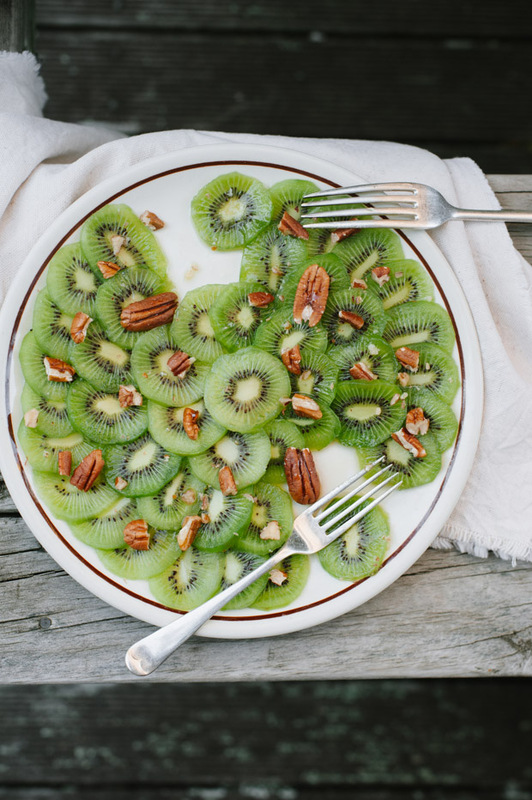 Peel and thinly slice kiwis. Arrange the fruit on a plate. In a small bowl, mix together honey and lemon juice. Taste and add more honey or lemon juice if you prefer sweeter or more sour dressing. 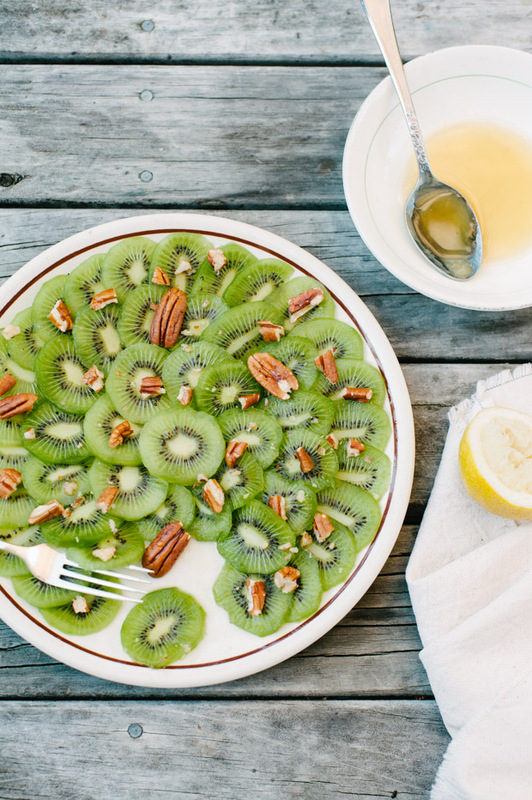 Sprinkle pecans over the kiwis and drizzle with honey and lemon syrup.